If you’re in the market for a replacement patio door, then you should consider a sliding patio door. They’ll save you space while making your home look great both inside and out. There are many other benefits that are unique to sliding patio doors, and we’ll tell you everything you need to know before getting one. When you think of the ways a new door improves your home’s beauty, they’re usually outdoor benefits. A sliding patio door is beautiful both inside and outside. Check out these examples on how it will make your home look better. Natural light is a great way to improve the overall look of your home. It’ll give your room a cheerful, warm look. Plus it makes the room look larger and gives the allusion of more space. If you’re looking to allow more light into your home, a sliding patio door is the way to go. 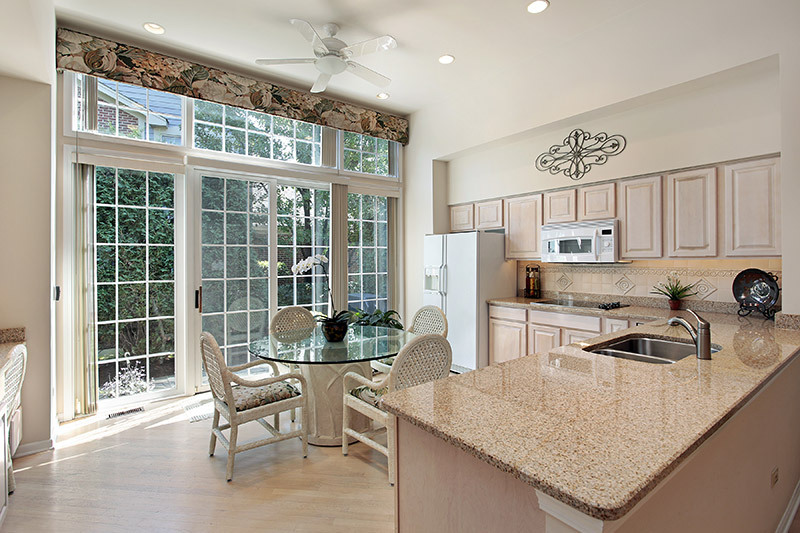 With their large glass windows, natural light will pour into your home and brighten up the room. So turn off those lamps and enjoy the sunlight! Does your room feel small? 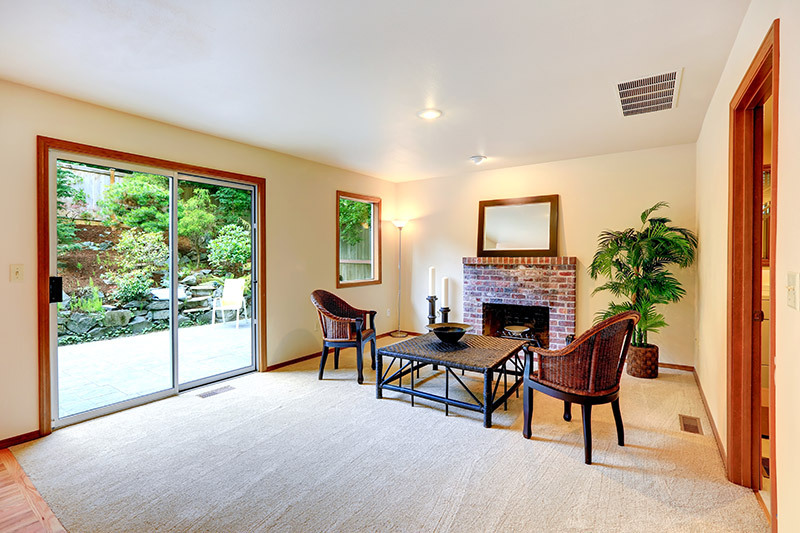 instead of rearranging your furniture to create more space, consider a sliding patio door. As mentioned, the large windows make your room feel larger. Rather than being surrounded by four walls and feeling cramped, a sliding patio door will open up the room. It’ll blend your room and the outside together. 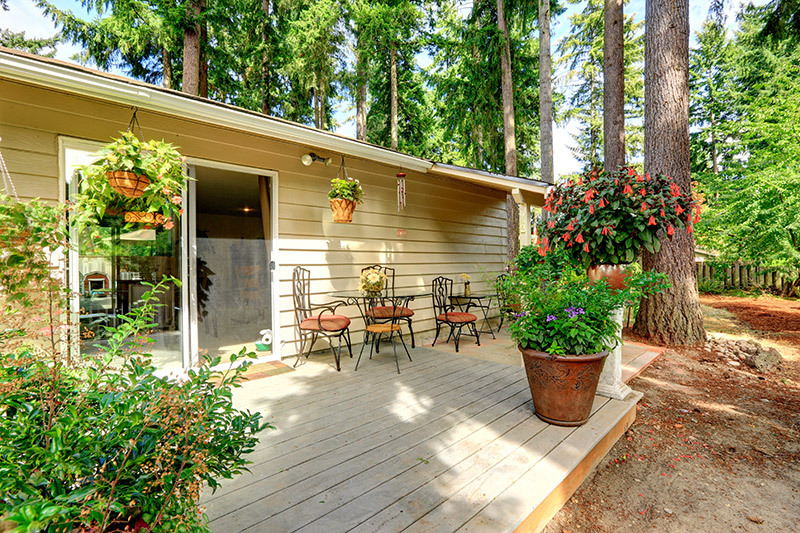 Nothing ties together a patio, deck or porch than an beautiful patio door. Sliding patio doors are a great way to improve the look of your outdoor lounging area. You’ll be the envy of your friends and family! Are you looking for an entryway to your patio but are frustrated by the amount of space swinging patio doors take up? Well a sliding patio door is the solution to your problem. Since they open and close on a track, you won’t need to rearrange the furniture in your home or on your patio for a door’s swing. If your old patio door is drafty and leaking air or water into your home, it’s time for a replacement. Don’t worry, many styles of sliding patio doors can be energy efficient. Not only can they save you money on your electric bill by allowing natural light into your home, but high quality, insulated glass window, can lower the cost of your other utility bills. This is because less heat and air will escape your home, reducing the amount of stress faced by your furnace and air conditioner. A major reason many sliding patio doors are energy efficient is because of their double or triple pane windows. The means there are two or three panes of glass that make up the windows. Between the panes is argon or krypton gas. These gases are very dense, meaning less air can pass through them to escape your home. The added insulation puts less stress on your furnace and air conditioner and saves you money on your energy bills. It’ll also make your home more comfortable year around. Since a sliding patio door is double the width of a normal door, larger objects can easily be taken in and out of your home. If you get a new couch, bed or large piece of furniture, the 2nd panel of your sliding patio door can easily be removed to make a large entryway into your home. Sliding patio doors offer great sight lines and allow you to enjoy the outside view. Whether you like to bird watch or want to enjoy the view outside, you’ll be able to with a sliding patio door. More importantly, they’re great for parents. If you have children, you’ll be able to watch them and make sure they’re safe. Sliding patio doors are larger than windows and give great sight lines. That means your kids will never be out of your sight. Safety always comes first with your family and home. Sliding patio doors have proper security features that will make it more difficult for someone to break into your home. Burglars look for easy homes to victimize so it’s important to make it as hard as possible to break in. The grappling hook lock comes standard on most sliding patio doors. The lock hooks into the jamb making it much harder to force your door open. Another standard feature with patio doors is safety glass. Safety glass is laminated meaning it’s less likely to shatter or break. If it does break, it won’t shatter, protecting you from being cut on shards of glass. If you want to add a little more safety to your sliding patio door, here’s a little trick. Put a block of wood on the track between the door and the edge of the track. If you forget to lock your door and someone tries to open the door, the block of wood will prevent it from opening. By sliding on a track with the simple push of the handle, a sliding patio door is very easy to open. You also don’t have to grip a lever or knob which makes it easier for people with weaker hands. There are many benefits to sliding patio doors. They give your home an open concept, allow greater sight lines outside and are easy to use. Also, many are energy efficient and secure. If you’re interested in a sliding patio door, get a free quote today.